Alas, this isn't an artwork challenge. 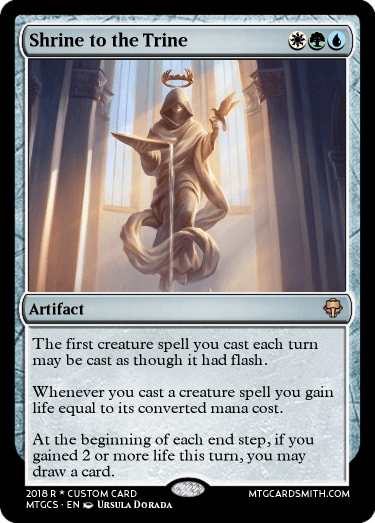 This is a contest focused on what is arguably the most powerful thing that you can do in a game of Magic, and that is draw cards. So I'd like you to make some cards that let you draw stuff. Criteria are the usual but I generally prefer simple, clean and realistic designs. 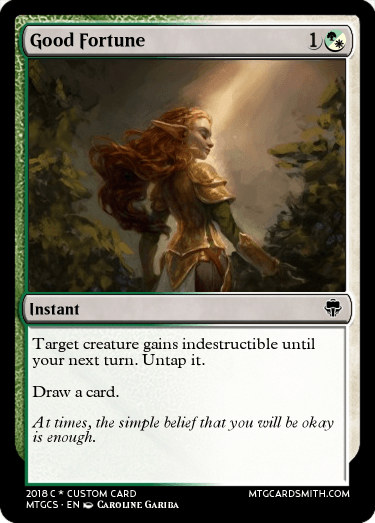 A common or uncommon made with large text that still has room for flavour text is probably going to attract me more than mythic word soups but feel free to do whatever you like. All card types, text sizes and power levels are welcome. New cards only. 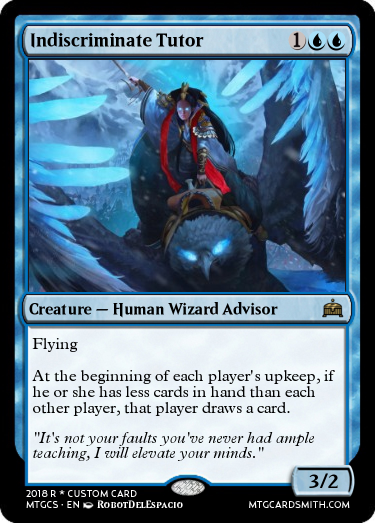 I'll be judging the card, not the cardsmith. It doesn't matter if you're a veteran or a novice - I'm only interested in the cards. Note that I'm specifically looking for card draw. 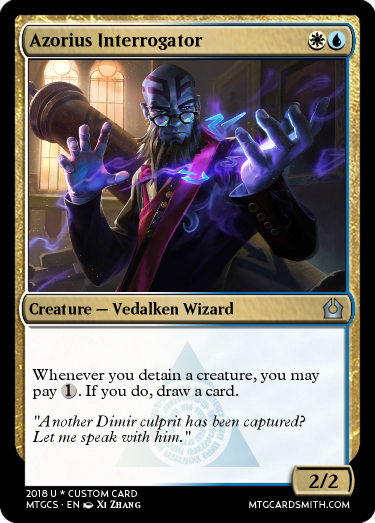 Revealing cards from the top of your library like Dark Confidant, exiling the top card like Act on Impulse or putting cards from your library into your hand like Dig Through Time are all ineligible. There must be a draw even if it's a mere cantrip. How about negative draw effects such as Bazaar of Baghdad ? 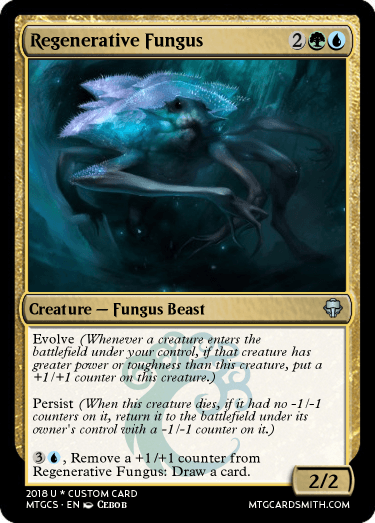 Can the card's only draw condition be limited to opponents such as "When this creature dies, each opponent draws a card"? 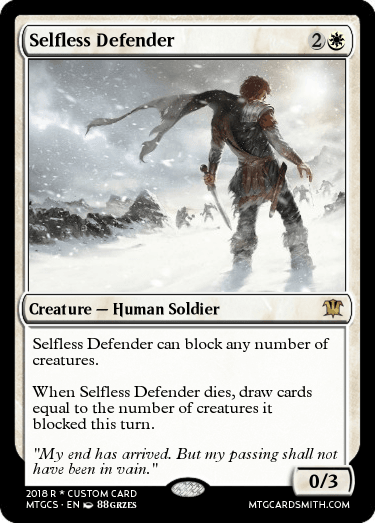 I thought this would be interesting to play with, but I wouldn't be surprised to see this banned in Modern if it were printed. Feel free to leave feedback if you'd like. @Jonteman93 - yes to both. 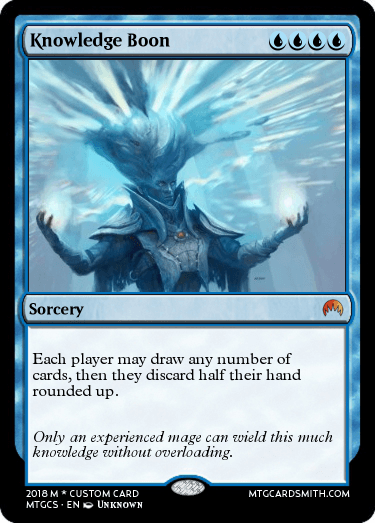 The only requirement is that at least one person is drawing at least one card, regardless of who they are and how many they are discarding. Thanks for another smart and simple contest, @Animist! Really trying to make white direct draw work without looking like a blatant colour pie violation. @Jonteman93 I wouldn't call Bazaar of Baghdad a negative effect, even though you do end up at a net loss of 1 card. Putting stuff in the graveyard for free is actually really good in combination with stuff like dredge and reanimator spells. As a child, maps fascinated me. 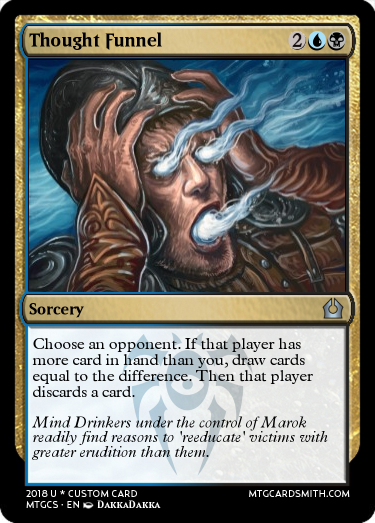 This card is a testament to that. 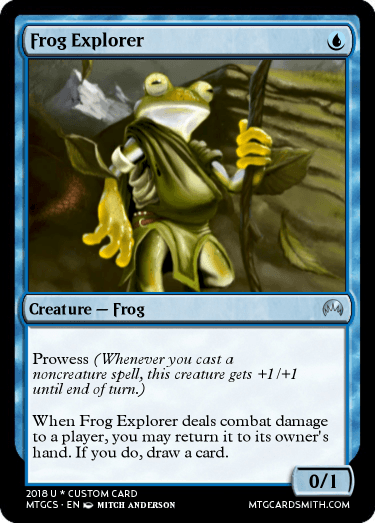 Can we have cards that pseudo draw cards to get around rules restrictions? 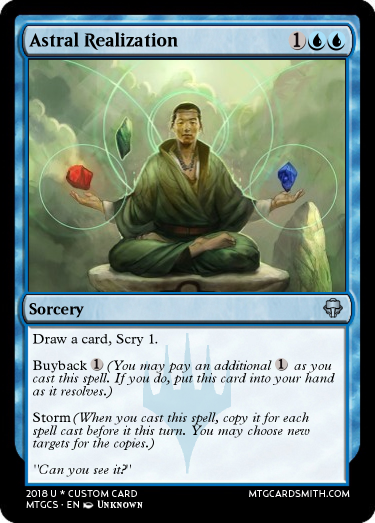 For example, drawing opponents' cards. @modnation675 - no, it has to draw. Things like Talent of the Telepath wouldn't count. @Animist What about Spy Eye? @KrampisZman - probably best to stay away from the un-sets for this challenge! Kynaois and Tiro all the way.